What does it look like inside the mind of someone whose career is inextricably linked to his or her creativity? 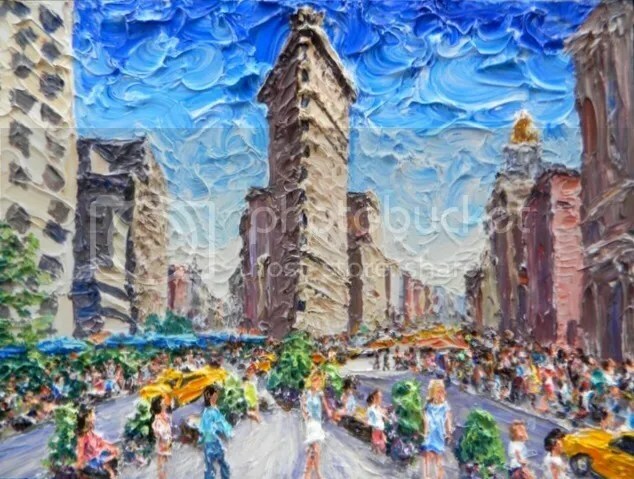 This is a question whose answer I hoped to discover in a recent interview with NYC-based artist Brian Josselyn, who throughout the course of his artistic career has produced an impressive oeuvre of paintings, such as the one featured at left, Flatiron Building. Josselyn uses the term “luscious realism” to describe his style of painting, characterized by thick brush strokes and vivid use of color. The style is reminiscent of Fauvism, which flourished during the early Twentieth Century, and whose proponents included Henri Matisse and André Derain, among others. Did you ever consider doing anything besides art? BJ: I was a chef at one point, and for a while I thought I’d be a constitutional lawyer, but then I realized that I didn’t want to go to court every day. That’s understandable. So, do you ever dabble in other artistic media besides painting? BJ: I take a lot of photos and I have also worked with sculpture. For me, it really sort of depends on what types of materials are around. I understand that you do live art shows in SoHo. Is there one spot in particular where you’re usually stationed? BJ: I paint at different spots throughout the city. On weekends, I can often be found at West Broadway and Prince St. When you paint, do you use oil, acrylics, or both? BJ: Acrylics only. For thickness and because they’re less toxic. If you had to pick a favorite work of art, what would it be? BJ: Monet’s Water Liles and the paintings of Yellowstone by Frederic Edwin Church. BJ: My philosophy is: “Go with your own personal flow. Eat healthy, take care of yourself, and put yourself in inspiring conditions.” For example, I was recently at the beaches of Martha’s Vineyard, where I drew inspiration from the rhythm of the waves. What is the best piece of advice you’ve received from another artist? What is the strangest thing that has ever happened to you during one of your live art shows ? BJ: Strange things happen to me all the time. 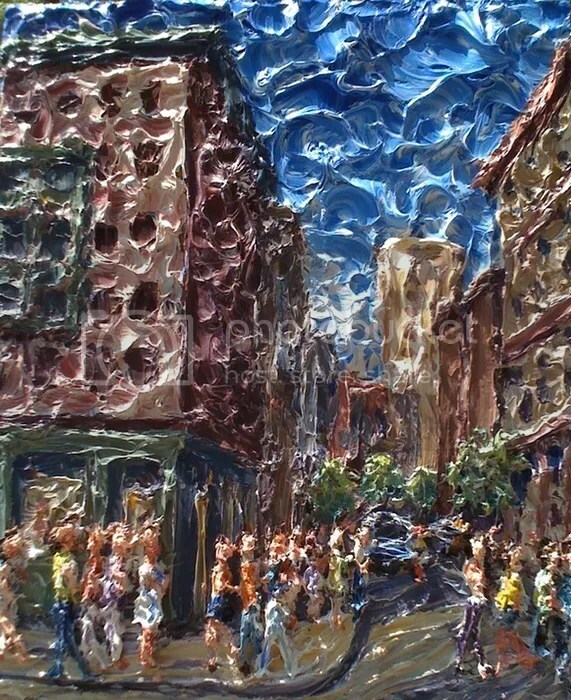 Just the other day, I was outside painting on the streets of NYC when two cops started walking towards me. One of them shouted, “We’ve been looking for you,” and I was thinking: “Uh-oh.” As it turns out, they just wanted to socialize. I had apparently met one of the officers [during a show] several years prior, and had included him as a figure in one of my paintings. When I immortalized Officer Friendly, he became even friendlier. How can a person go about purchasing your work? BJ: Email is the best way to get a hold of me: BJOSSELYN@MAC.COM.